Studies have shown that refined sugar may be more harmful to our bodies than first thought. Scientists now believe refined sugar could lead to cancer, deplete the body of vitamins and minerals, suppress the immune system and weaken eyesight, among other things. If that wasn’t bad enough, scientists now say that sugar could be as bad as sunbeds and smoking when it comes to aging skin. Therefore, a high sugar diet could leave you looking much older before your time. The Western diet is full of sugar, and even people who think they have a fairly healthy diet may be ingesting far higher amounts of sugar then they realise because of “hidden sugars” present in many so-called healthy and savoury foods. 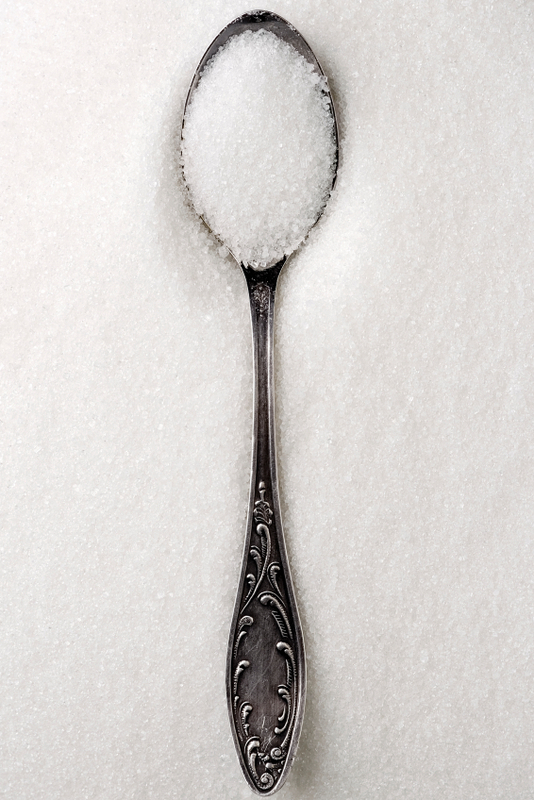 Here are five ways to lower your sugar intake, for a healthier, happier you. If you are stocking up on ready-made meals, make sure you read the labels and check how much sugar is in each meal. Even savouries can be packed with bad sugar. Also look out for the word “glucose” when checking labels because this is just a fancy word for sugar and should be avoided at all costs. Many people drink fizzy drinks regularly to hydrate themselves and never consider the sugar content in them. Soft drinks can be packed with sugar so all should be avoided, or at least kept for a special occasion. By replacing fizzy and soft drinks with water, you are immediately cutting down on your sugar and calories and enjoying all the health benefits water provides. Table sauces such as tomato and brown sauce are packed with sugar. Although you may take only a bit at each serving, when that quantity is injested several times a week you will soon realise that you are adding to your sugar intake quite significantly. Salad dressings are the same. By using solely olive oil or balsamic vinegar, you are bypassing the sugar, but still adding extra taste to your salad leaves. There is no need to finish every meal with a dessert, which should be kept for a dinner party or other special occasion. By eating a calorie-laden pudding after every meal, the chances are you will put on weight and over-load on sugar. If you are desperate for a sweet fix after your meal, try a square of dark chocolate, which is tasty and packed with vitamins and minerals. This is actually a very important one to remember. When you cut out a food from your diet, your body immediately craves it, leading to binges which put you straight back to square one. Brown sugar is slightly better than white sugar, so by sprinkling some of that on a healthier foods such as porridge, it will give you that sugar fix without compromising on health.